Ajla Tomljanovic qualifies for the Qatar Open in Doha with a straight-sets win over Polona Hercog. 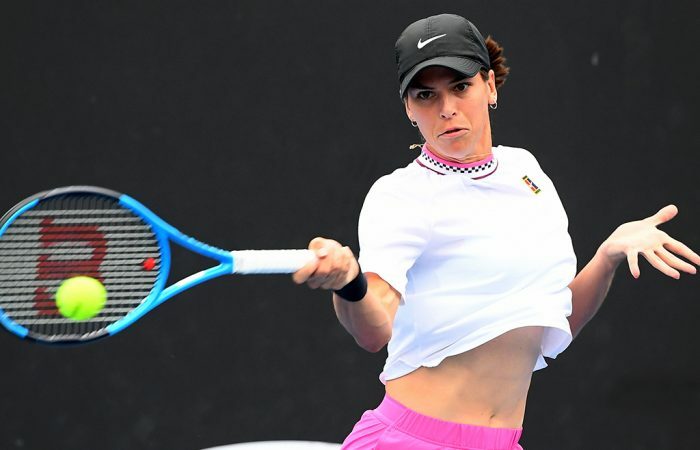 Australian No.2 Ajla Tomljanovic continued her good form by qualifying with a 6-3 6-4 win over Polona Hercog at the WTA Qatar Open in Doha. It was a sixth win in seven matches for world No.41 Tomljanovic, who reached the final of the Thailand Open last time out. She next lines up against No.9 seed Julia Goerges in the first round of the main draw in Doha. Goerges takes the place in the draw of Ash Barty, who pulled out of the tournament with a hip injury. Sam Stosur fell in the final round of Doha qualifying in three sets to Russia’s Anna Blinkova. 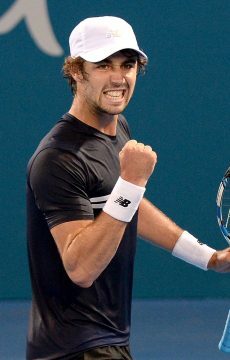 At the New York Open, Sydneysider Jordan Thompson recovered from a set down to beat American wildcard Noah Rubin. After failing to convert eight set points in the opening set, Thompson went on to win 6-7(7) 7-5 6-1. He next faces a qualifier – either Spain’s Adrian Menendez-Maceiras or American Christopher Eubanks. Earlier, Bernard Tomic won his first match of 2019 thanks to a straight-sets win over Lukas Lacko. Australian world No.87 Tomic made short work of the Slovakian, winning 6-4 6-2 to set up a clash with top seed John Isner. “We’ve played a couple of times,” Tomic said of Isner in an interview with Tennis Atlantic. 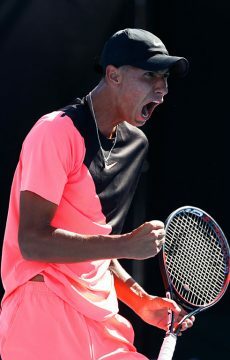 Teenager Alex Popyrin, who made a run to the last 32 at Melbourne Park, was unable to make the main draw after a final-round qualifying loss to Canadian Brayden Schnur.